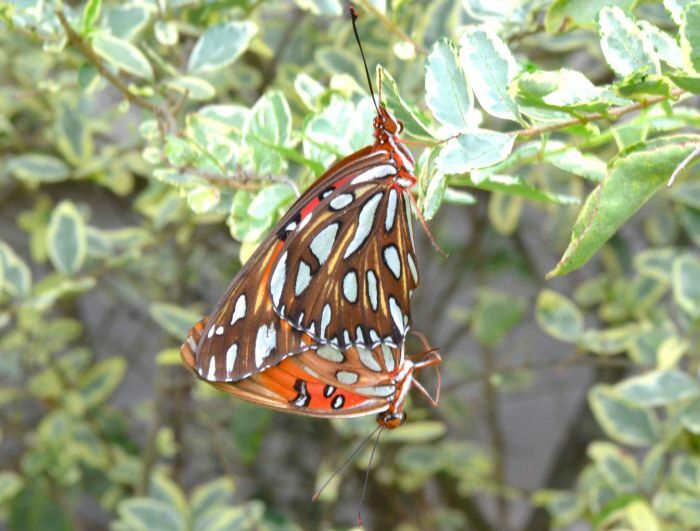 Agraulis vanillae (Gulf Fritillary) ♀♂. Size: approx. 70-90 mm. Photo: 08/14/11, 5 pm. 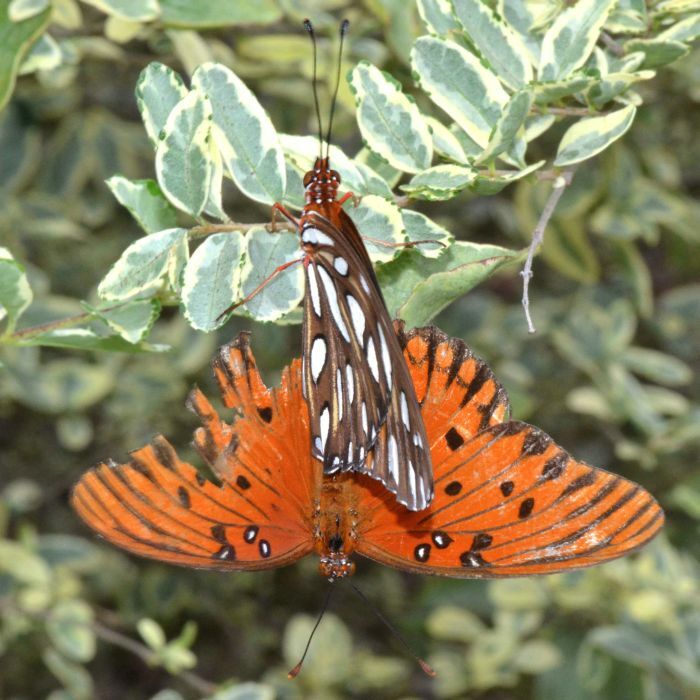 Agraulis vanillae or Gulf fritillary is a striking orange butterfly. According to Wikipedia the color is a type of Batesian mimicry (of the noxious tasting Monarch butterfly?). They are common in the Southern states. Adults nectar on lantana and other flowers. The photos show a mating pair.